NLS annual Dinner Dance will take place on Saturday April 21st at Trent Park Country Club in Oakwood, North London, N14 4UW. Tickets are priced at £45 for a 3-course meal (incl wine) and also a great line-up of entertainment for the night, including band, DJ, raffle and auction. Always a fantastic occasion! Tickets are selling fast and at the time of writing over 80% are already sold. Please contact Kenny or Tom (numbers below) to secure yours ASAP! All involved with the club would like to congratulate Brian and Audrey Galvin on the birth of their baby girl last month. 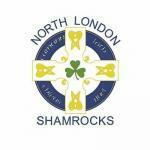 Also, all at NLS would like to extend their condolences to popular London GAA figure Kevin Kelly. He was a well known and respected member of the GAA community in London and will be sadly missed by all. Best of luck to the NLS veterans who'll be lacing up the boots again to participate in the 7-a-side, over 35s Martin Sullivan fund-raiser at Hendon Rugby Club on Saturday April 14th (3-6pm). All support for this good cause is appreciated.